It features some of the cutest nautical fabric we have ever laid eyes on (Anchors Away from Dear Stella Designs), and I love how cool and unique these sailboats are. 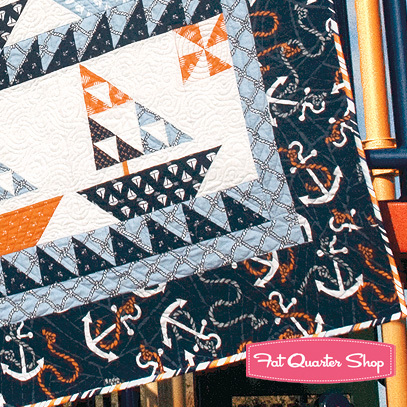 We took a classic quilt theme and updated it with clean and easy sailboats, with a twist! 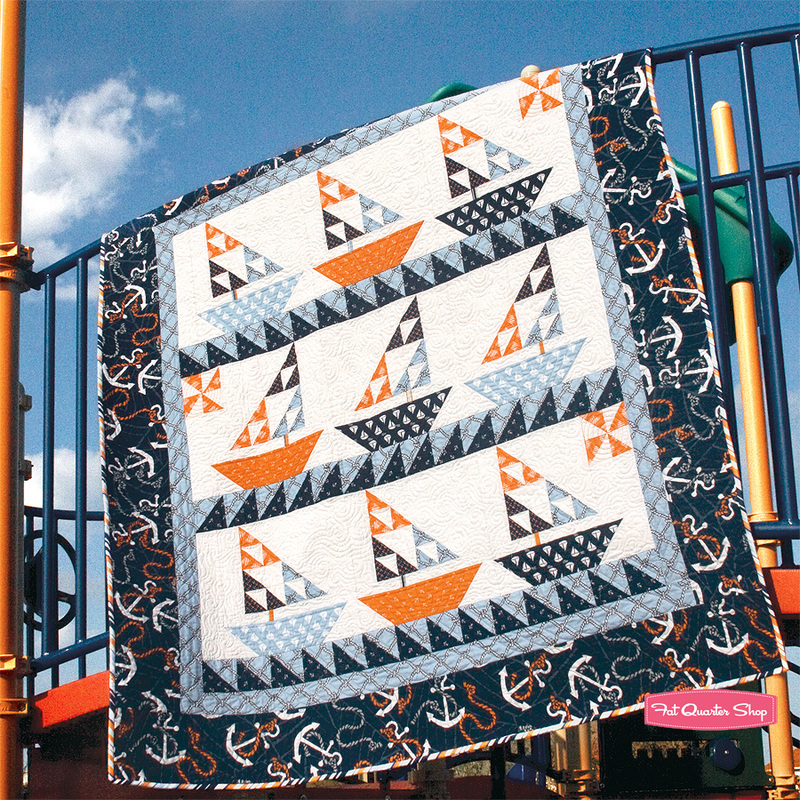 Feel the half-square triangle love, especially with those adorable pinwheel suns in the corner of each row and the blue wave sashing. A definite favorite of mine, and I hope it will become one of yours! Store owners, you can find Row, Row, Row Your Boat as ISE-110 at United Notions and Checkers.